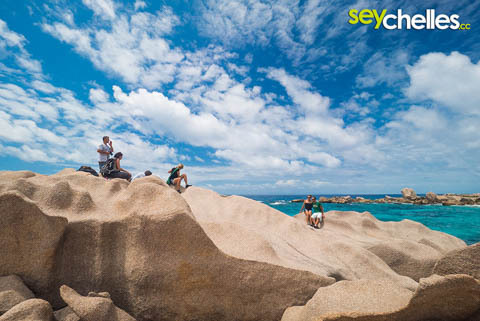 La Digue is a rather small island, but it is much larger than you might think. 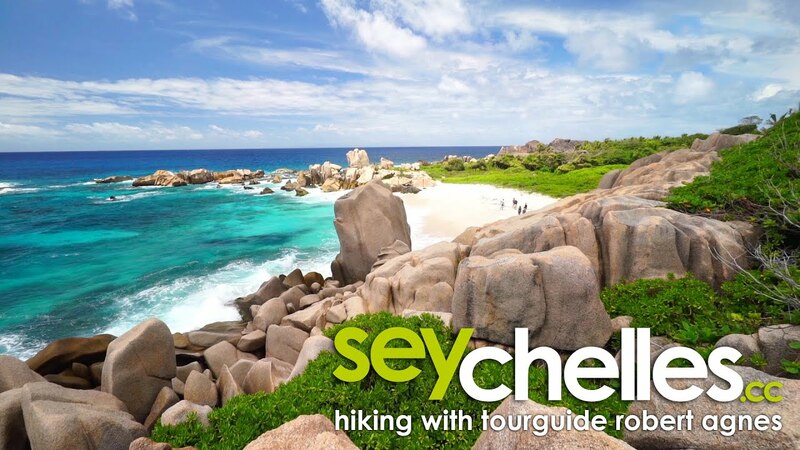 Some tourists wonder what to do on La Digue if they stayed more than a few days on the island, but rest assured - these highlights are just a few things, and definitely a must-see for every active visitor to the Seychelles. 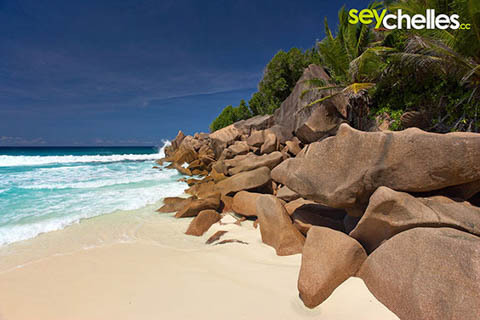 No doubt, the absolute highlight on La Digue are the beaches. 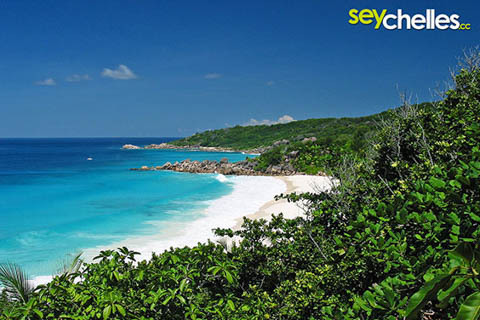 The island hosts some of the most beautiful beaches in the world. 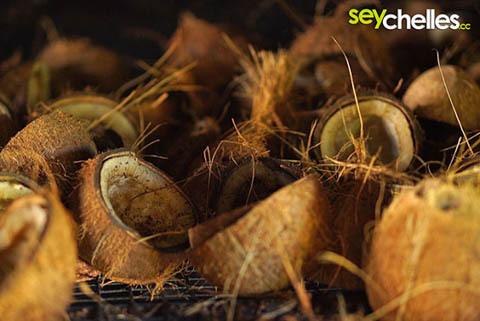 Anse Cocos, Anse Source d´Argent, Grand Anse and Petite Anse, to name just a few. 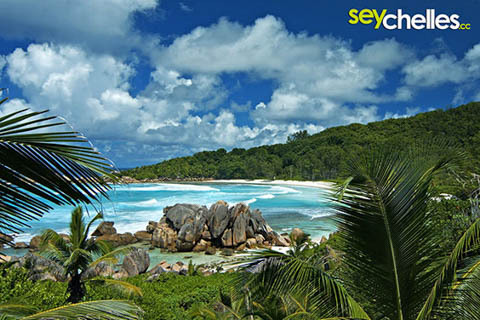 So most of the people on vacation, visit La Digue because of its beaches. 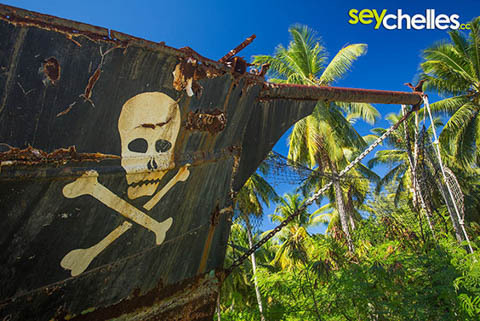 No matter whether you are on a day-trip from Mahé or Praslin, or if you stay for several days or weeks. 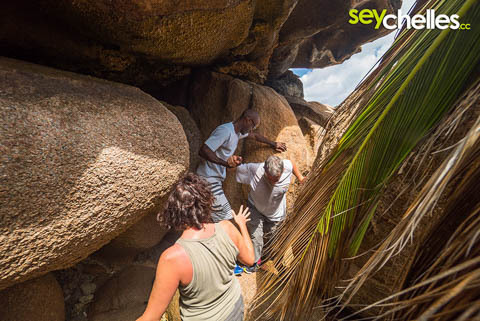 Be sure to visit as much as you can because leaving La Digue without having seen all these natural beaches would be a shame. 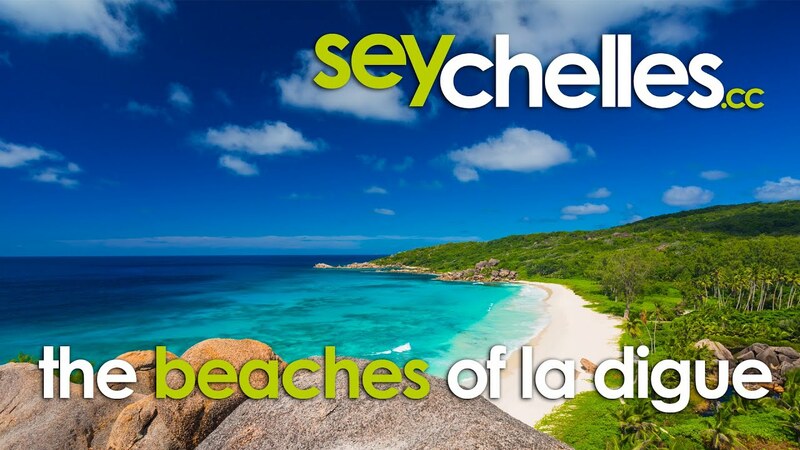 We have prepared a list of all the beaches of La Digue for you so you can plan your trip in advance. 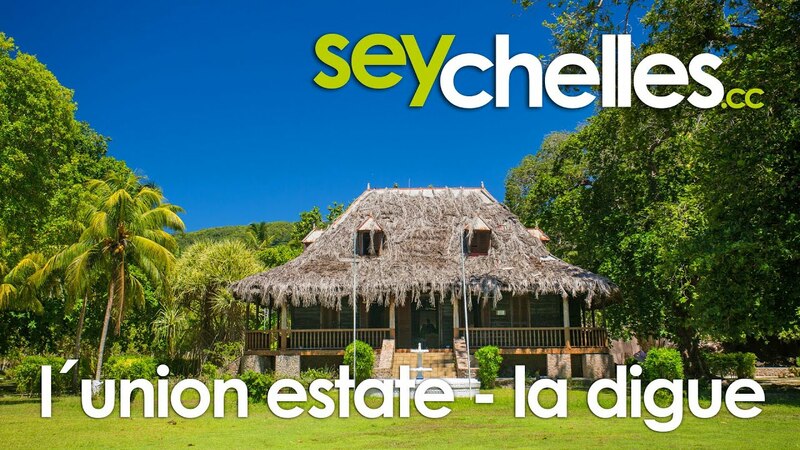 Moreover, we have created a video of the beaches of La Digue and a video with aerial views of Grand and Petite Anse. To walk around the south of La Digue from Grand Anse to Source D´Argent, pausing at beautiful Anse Marron is absolutely fantastic. Because the path is not always easy to find and also depends on the tides, we advise you to take one of the local guides to enjoy a wonderful day hiking along La Digues amazing wild coast. We went with Robert Agnes, who was a very nice and knowledgeable guide. We can definitely recommend his service. He prepares a big plate with all sorts of food for everyone and always has a helpful hand and lots of info during the trip. 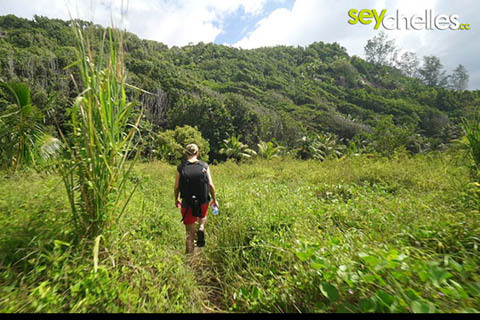 Usually, at the end of the trail you´ll wade back to Anse Source d´Argent through hip-deep water, so be prepared. 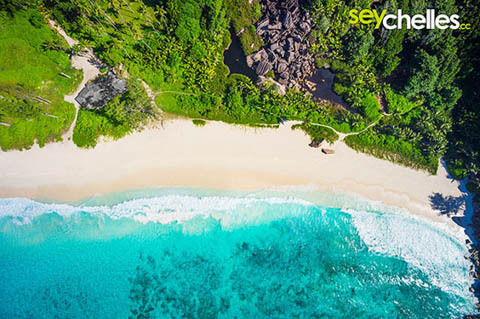 Don´t forget to take enough drinking water with you and put sunscreen on with very high protection (for a whole day out in the sun on the Seychelles we always take factor 50 - it doesn´t hurt, promised). To reach the beautiful Anse Coco beach on La Digue, you have to walk from Grand Anse via Petite Anse through lush green vegetation up and down the diverse path for about 45 minutes, depending how fast you go or how many stops you make to enjoy wonderful outlooks or a bath in Petite Anse (if the waves are not too high). It´s more a little hike than a walk and you will be sweating a lot, but it´s definitely worth it. 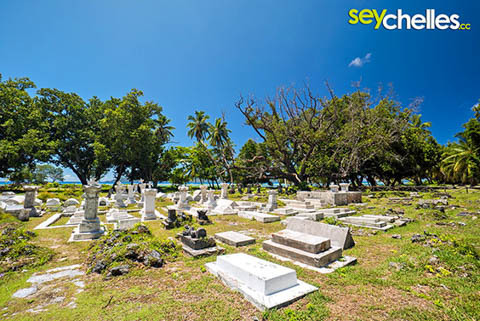 Be sure to have enough drinking water with you, because you are off civilisation at this part of La Digue. You can´t really miss the starting point in Grand Anse. The small path is right on the beach, heading to the north (left). 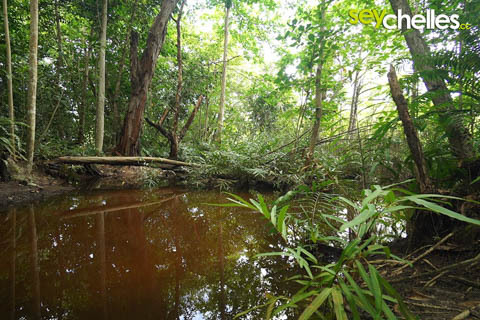 You´ll walk over a beautiful pond with granite rocks on the left and amazing tropical vegetation before the track becomes steep and guides you up into the forest. 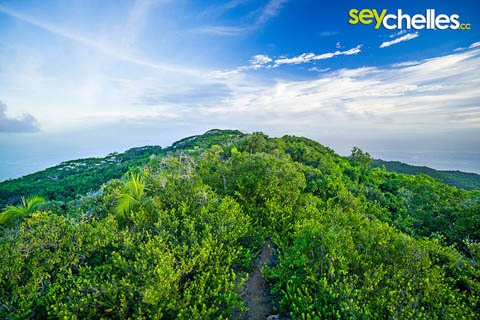 After a short hike up and down again you´ll arrive at the amazing sandy beach of Petite Anse. 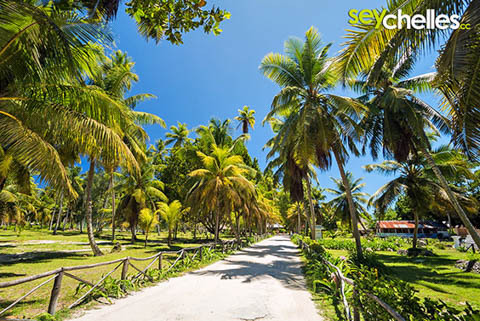 If you want to make sure not to miss the path further to Anse Cocos it is best to immediately turn inland right at the beginning of the beach. Depending on when the path has been last cleared of growing branches, it might be quite broad and easy to walk or rather narrow. Over a tiny „bridge“ you walk towards an open area with grass, before again the way leads you up into a magnificent forest. 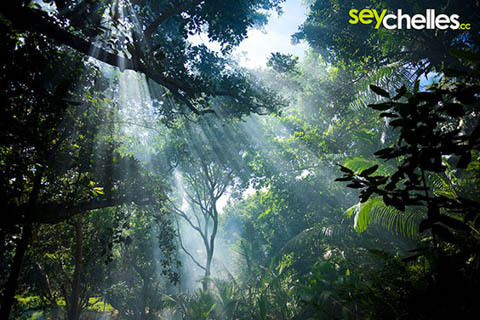 This time a little longer than the first time, but relax and enjoy the lush green vegetation of ferns and beautiful trees. 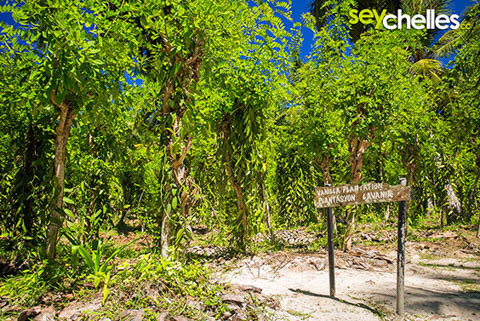 Arriving at sea-level again, you should see a wooden sign that welcomes you to Anse Cocos. 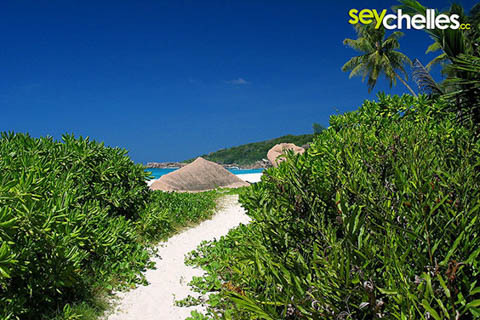 Take the path to the right and a fantastic tropical bay is waiting for you after a few meters. 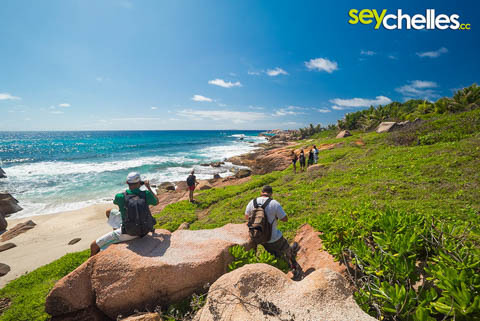 At the end of this nearly 500 m long sandy beach, you´ll find a small sheltered bay behind huge granite rocks which is usually great for having a bath. You can go into the water on other parts of the beach too if the waves are not too high, but please keep in mind that at times there can be dangerous currents, just like on Petite Anse and Grand Anse, so better stay close to the beach and read our notes about beach safety. There is not much shadow at Anse Cocos, one tree at the beginning where the path reaches the beach, another in the middle of the beach and a little at the small bay at the end, but all depending on the time of the day of course. 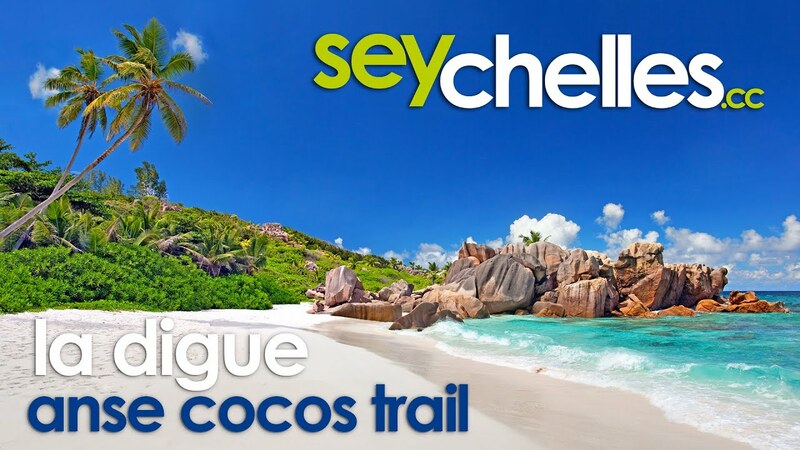 Watch our video about the Anse Cocos Trail, It will help you to find the way. Nid d´Aigle means Eagles Nest, which is a perfect name for La Digues highest mountain. 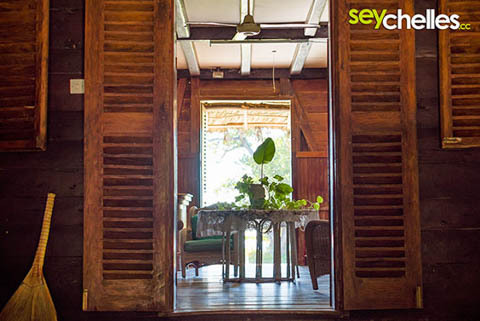 With about 330m it is the perfect spot for having the best all around view on the island. To get there, take the road to the Bellevue snack bar and from there, follow the narrow path up through the forest. 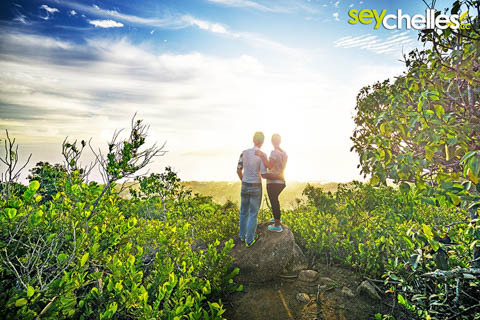 From the top you have an amazing view to Praslin on one side and to Felicité and Marianne on the other. 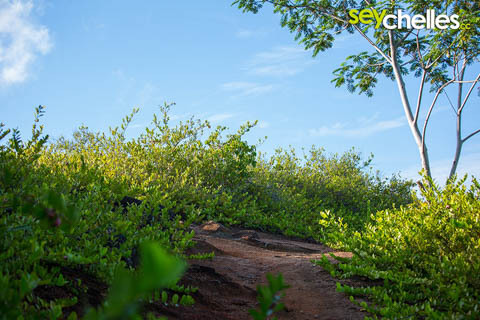 In fact the best viewpoint isn´t actually the highest, but the track will lead you to the viewpoint anyway, because the highest point is off the beaten path. Be sure to watch our Video on Nid d´Aigle to find the way. 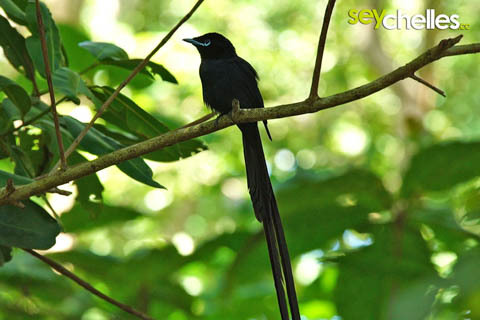 The Veuve on La Digue is a nature reserve for one of the most endangered birds in the world, the Paradise Flycatcher that is only found on the small island of La Digue. 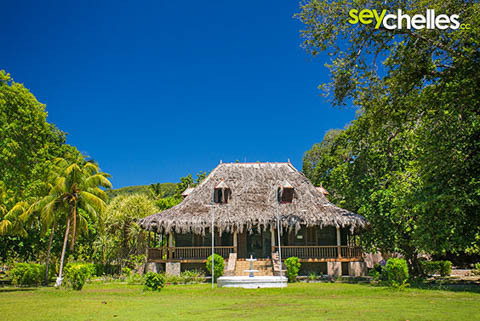 Situated on the road to Grand Anse it is especially suitable to visit when you are one of the few people walking to Grand Anse rather than biking there because you can walk right through the Veuve and join the road again at the northern exit. Unfortunately, on our numerous visits, we have never really seen the flycatcher here in the Veuve, but elsewhere on La Digue. So keep your eyes open wherever you go and watch out for a bird with a long tail and a beautiful voice.